Happy Halloween! 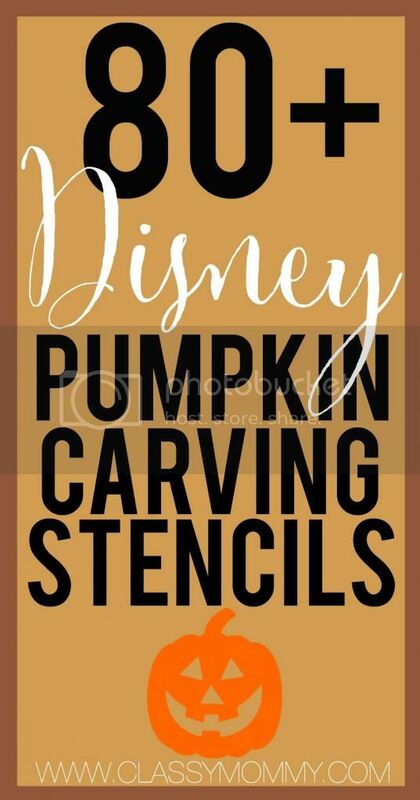 For all my Disneyphile pals, you’ll LOVE this list of over 80 disney pumpkin carving templates and stencils. Check out our list of spooky Disney Pumpkin Carving templates so you can carve out Halloween magic in the shape of Mike Wazowski, Mary Poppins, Cinderella, Disney Villains and FROZEN inspired shapes. Do your kids love carving pumpkins??? I’m amazed at all the genius templates and stencils available on the Internet from Disney so you can create your own Disney style Jack-O-Lanterns to glow and showcase your Disney Side on all Hallow’s Eve. And yes, even FROZEN inspired designs are now available so you can go all Olaf with your pumpkin to please your Princess Elsa or Anna! 5 FROZEN Pumpkin Carving Templates // Parenting Beyond! Bambi Pumpkin Carving Stencil // Cartoon Jr.
Cinderella Pumpkin Template // Cartoon Jr.
6 Classic Disney Pumpkin Carving Stencils // Cartoon Jr.